It’s the last day of classes. Here are all the ways you might procrastinate/do more important things than finals this week. Because hey, finals aren’t the end of the world, right? 2. Going to the beach, where else is it 80 degrees in December. 3. Watching the 25 days of Christmas movies on ABC Family. 4. Going to all the Christmas parties you have to wear your ugly Christmas sweater at some point. 5. Shopping for Christmas gifts. 6. Staying up to date on the gossip a.k.a. Loma Chatter. 7. Packing to go home. 9. Planning the best Christmas break ever. 10. Eating baked goods or baking them. 11. 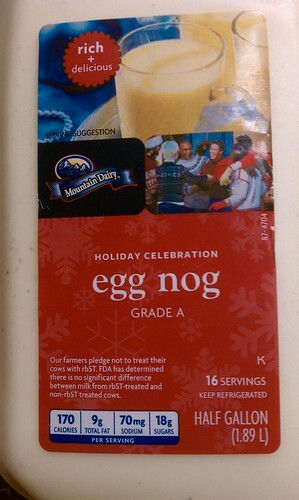 Eggnog, I repeat, eggnog. 12. Crossing items off the bucket list, it will be 2015 before you know it. 13. Watching funny videos like this one. 17. Going to all the chapels so you don’t have to pay the fine. 19. Taking a selfie with the giant Christmas tree in the Greek.